Enjoying a great location on the popular Grove Park, this business centre offers contemporary office accommodation with a corporate feel. The location offers excellent connections by road to Leicester and the surrounding area, including the motorway network. There are several shopping and food outlets nearby and several hotels. The office space benefits from a full range of services including an impressive reception area, a huge range of meeting rooms and all the tech infrastructure your business could need. The area has attracted long term tenants with HSBC, RBS and the NHS just some of the current residents of the park. Based in the Leicestershire suburb of Enderby, this modern centre offers a practical space for those looking for a new home for their business. There are four secure rooms within the centre, with two/three work stations in each. It is just 20-minutes drive to Leicester train station, and Narborough train station is just seven minutes drive. 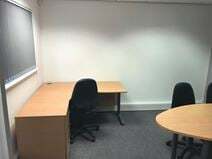 The centre comes with secured rooms for each tenant and an opportunity - with its open plan design - to have full control over the layout and setup of your office. With disabled access, kitchen facilities, WiFi and 24 hour access, this centre offers a wealth of amenities to benefit you throughout your working day. 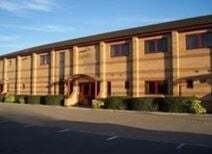 Location wise, the centre is close to both the M1 and M69 motorways, and is a short drive to both Narborough train station (7 minutes) and Leicester train station (20 minutes). 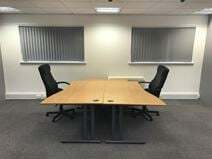 Strategically located in proximity of the motorway junction and close to Leicester's business district, this modern building consists of first-class office suites, sophisticatedly decorated and equipped with state-of-the-art technology to offer a highly efficient and professional working environment. Available on flexible rental terms, they can accommodate any of your requirements.